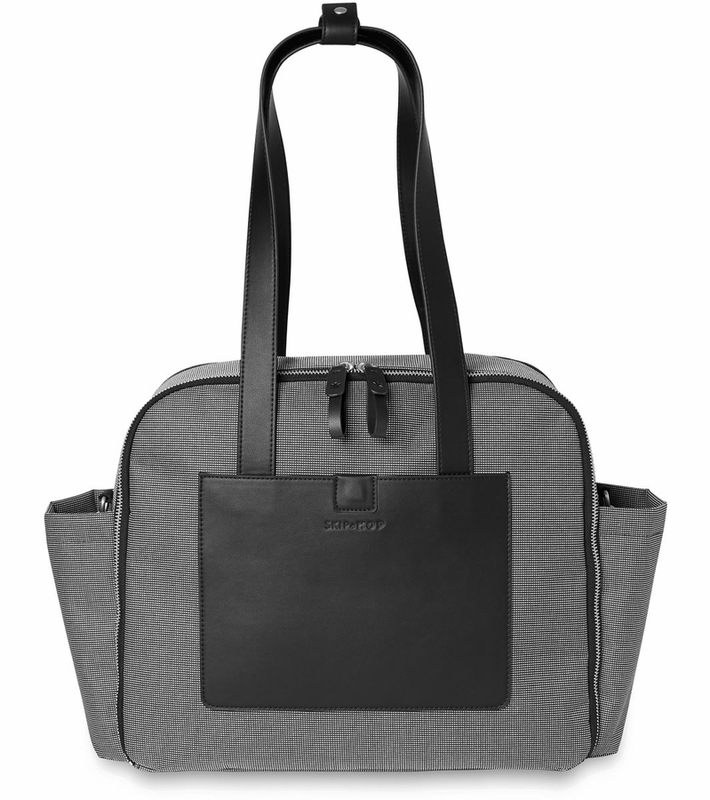 Taking cues from runway-worthy checkerboard and grid patterns, Skip Hop�s Madison Square Diaper Tote features a boxy silhouette for a modern take on a multitasking mom essential. 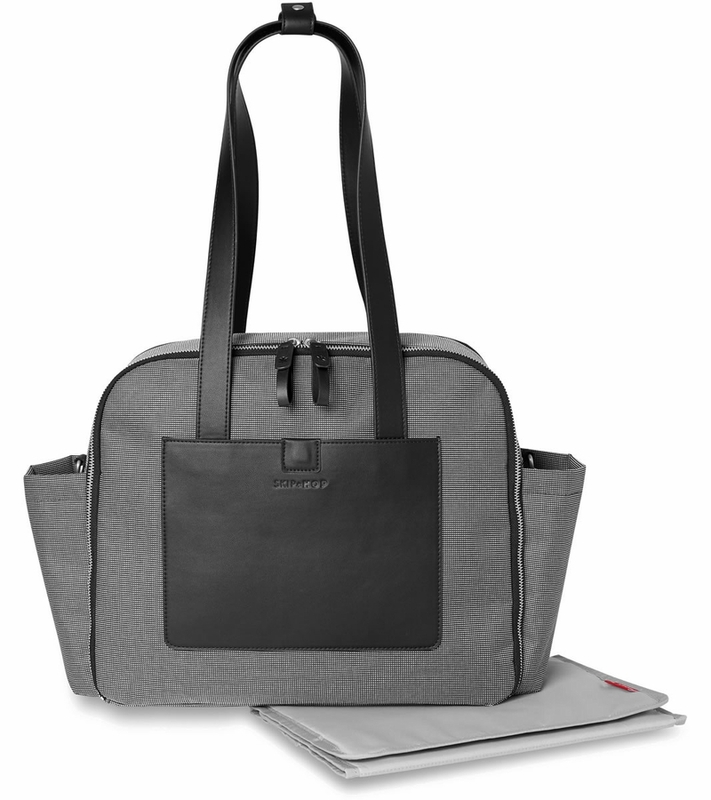 Fashion-forward and functional, the spacious diaper bag tote is accented with a vegan leather pocket that punctuates the bag�s clean lines. 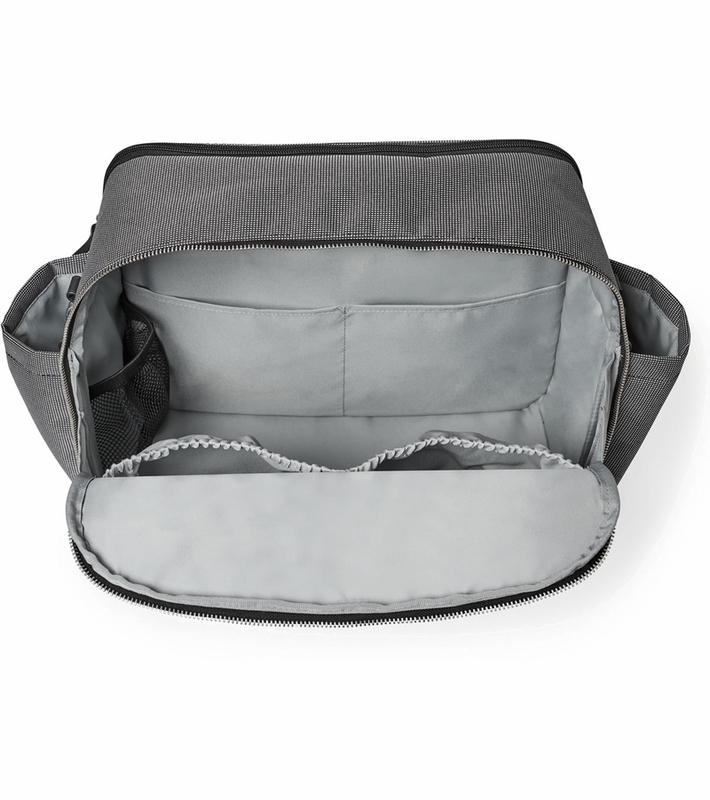 A large main compartment opens wide for easy access and zips closed securely. 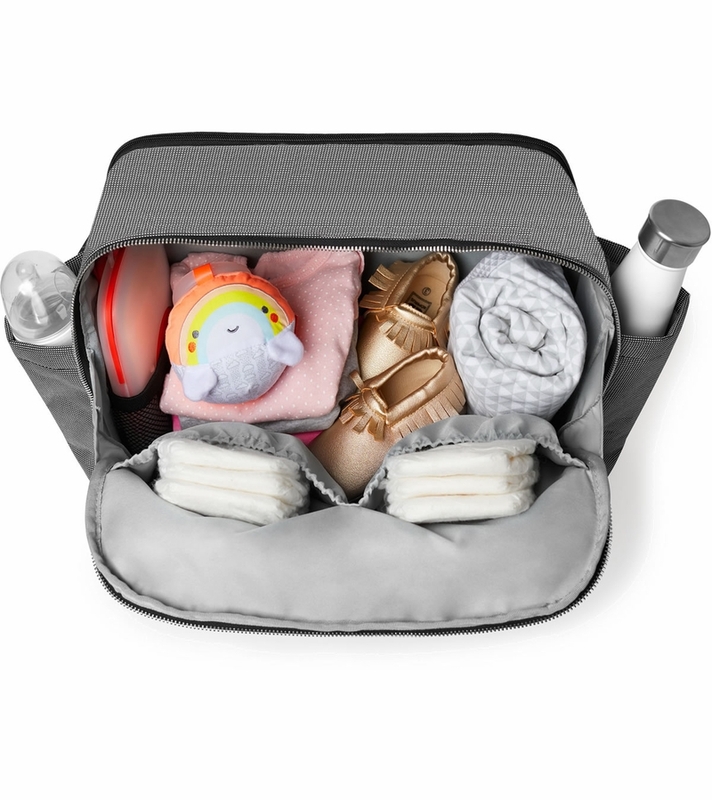 Diaper bag essentials pack perfectly in the back zip pocket so they�re ready to go. 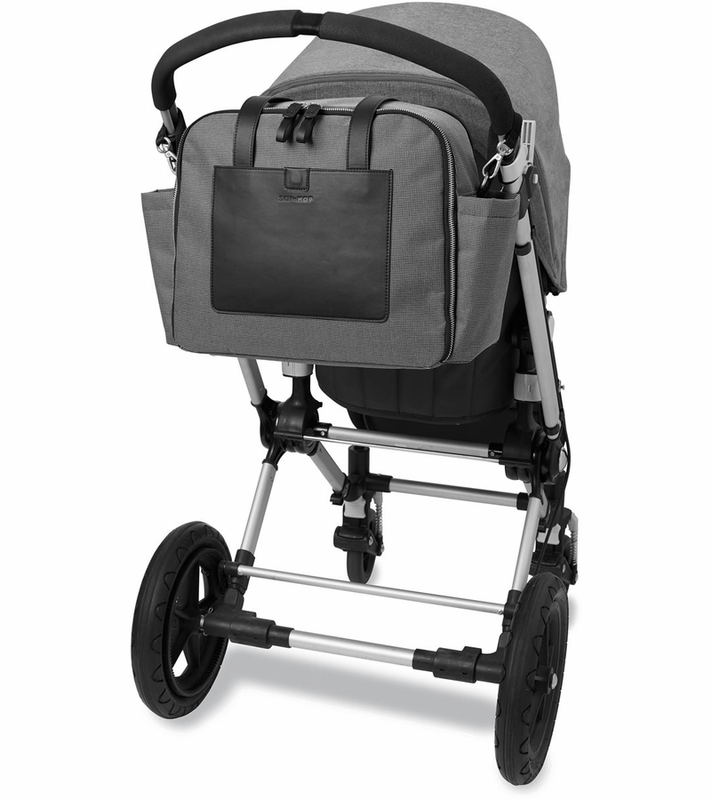 Over-the-shoulder handles offer hands-free ease (so mom can carry her little one, too). 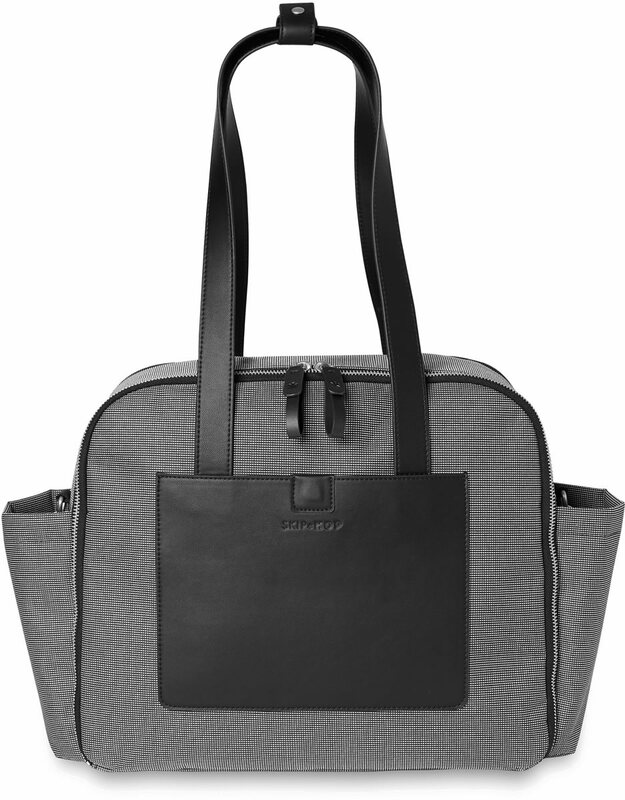 Crafted in chic-meets-sporty textured fabric, it�s a look that shifts from work to weekend in signature streamlined style.